This is a great opportunity to own the former Zephyr Egg Farm and convert the existing infrastructure into a Plant Nursery, Medical Marijuana plant or other type of agricultural facility. The buildings feature a flat concrete pad with metal walls amassing approximately 65,000 Sq.Ft. The property has two generators, two wells and a water line on the western side of the highway. This property is ideally located with close proximity to I-75 and I-4. 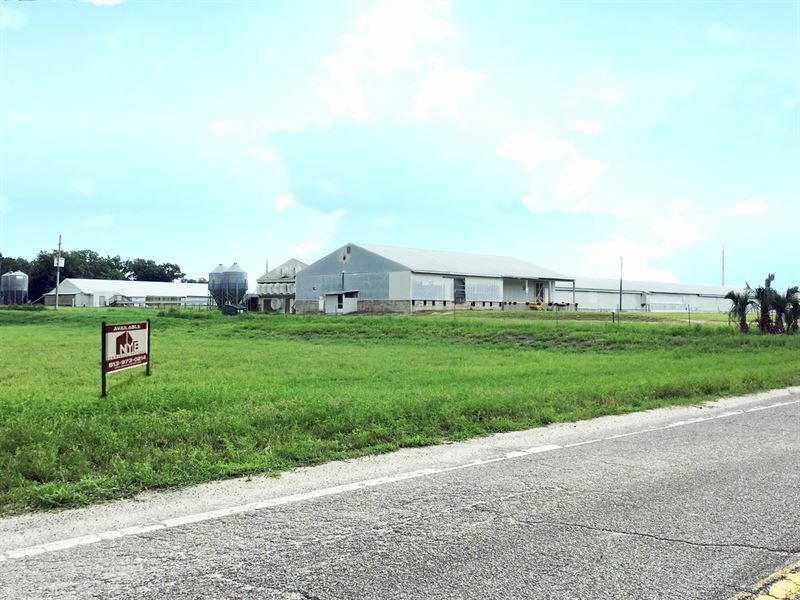 This is a "Florida Grade" poultry farm that has a capacity of 125,000 layers and its machinery is in working condition. It is not currently in operation but the farm equipment is expected to be in working condition. If desired, the seller can arrange to have the equipment removed. A savvy owner/user could convert the space and its 65,000 Sq.Ft. concrete floor into a Flea Market, Commercial, Industrial, Manufacturing, Storage or Trucking use and lease it out. Additionally, the property's location between Tampa and Orlando as well as its close proximity to the Railroad, Community Airport and State Road 56 extension to I-75 make it ideal for national distributors. Preliminary discussions with local officials indicate a zoning change would be approved.